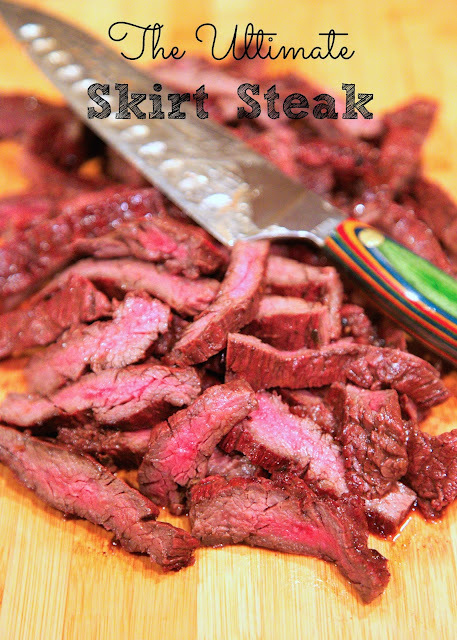 The Ultimate Skirt Steak - a little sweet, a little heat, a whole lot of delicious! Skirt steak marinated in hot sauce, Italian dressing, onion, garlic, brown sugar and steak marinade.Let it marinate overnight for maximum flavor. 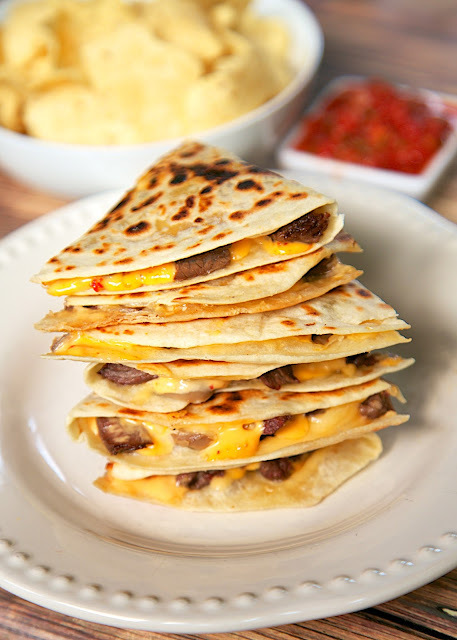 Great on its own on in quesadillas or fajitas. We always make extra for leftovers! Skirt steak is one of our very favorite cuts of meat. We eat it at least once a month. It is pretty cheap and so tender and juicy. We bought some skirt steak the other night, and I wasn't really sure what I wanted to do with it. I was going to make one of my very favorite marinades, Sweet Heat Marinade, but I didn't have all the ingredients. SO, I had to improvise. I took some of the ingredients from the Sweet Heat Marinade, combined it with the Italian Steak Marinade and crossed my fingers. Well, it turned out amazing! I mean, seriously delicious! I'm so glad I wrote down how I made it. We ate this two days in a row and still had a little left for Chicken Legs to make a skirt steak and egg white omelet for breakfast. We loved this steak so much that we are already planning on grilling it again very soon! The steak has tons of great flavor and was super tender. The key is to not overcook it and make sure to cut it against the grain. Sounds really good Steph. We rarely find skirt steak in our stores. Haven't seen any skirt steak here in Md. stores. Anybody know where I can find some nr Baltimore. It's also known as "flank steak"
Nope. They are two different cuts of meat.